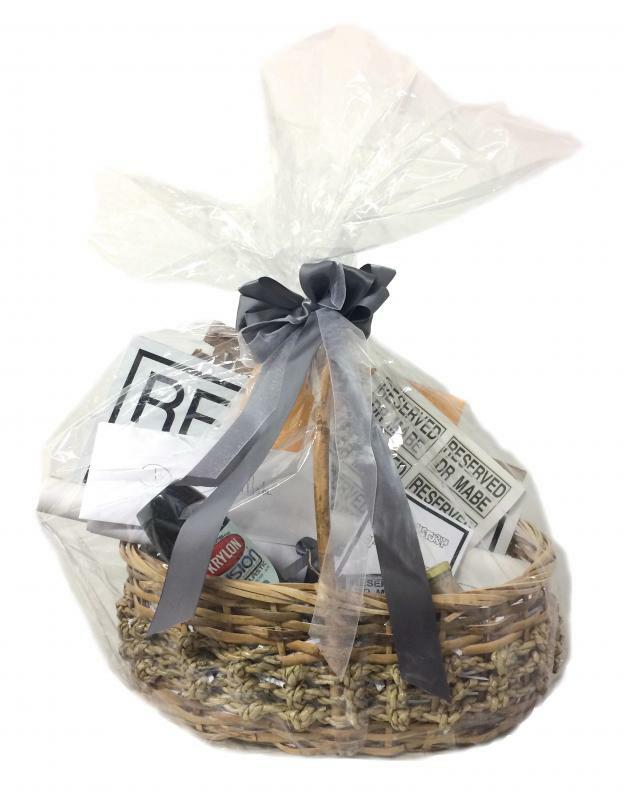 Chicago, IL 1/4/16 - THE SUB-MISSION is delighted to announce Gift Baskets by Occasion, a site-responsive installation by Kelly Lloyd. Lloyd figuratively and literally unpacks the acts of giving and receiving in a capitalistic society by constructing and deconstructing gift baskets of found objects. An interview with Kelly Lloyd will be available on THE MISSION’s website and in the gallery. An opening reception will be held on Friday, January 15, from 6pm to 8pm. The exhibition continues through February 27, 2016. How does packaging affect an object’s marketability? Can a consumer good hovering in white space on a screen or displayed in a white cube be more appealing than one presented in context? 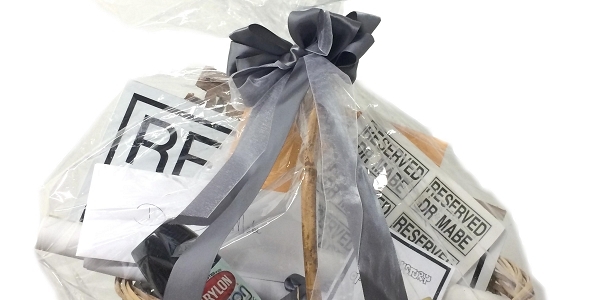 Gift Baskets by Occasion examines how marketing rhetoric can impact consumer decisions, gifting, and reciprocity. Gift baskets occupy a curious position of belonging to high and low culture simultaneously, making the packaging all the much more salient in determining their value. 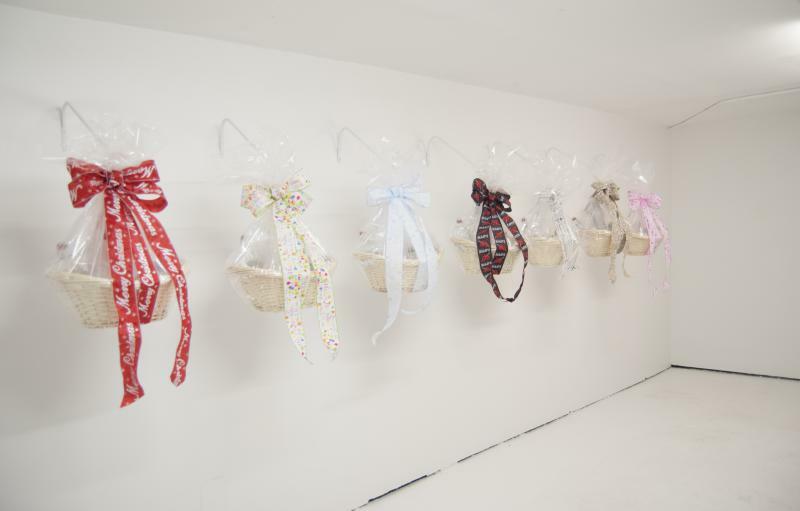 Questioning the fluidity of an object’s meaning in context, Lloyd displays several identical gift baskets filled with nondescript white bottles and distinguished only by a colorful ribbon, marking occasions as different as bereavement, a birthday, and congratulations. The atmosphere of the white cube mimics the austerity of a mail order catalogue. 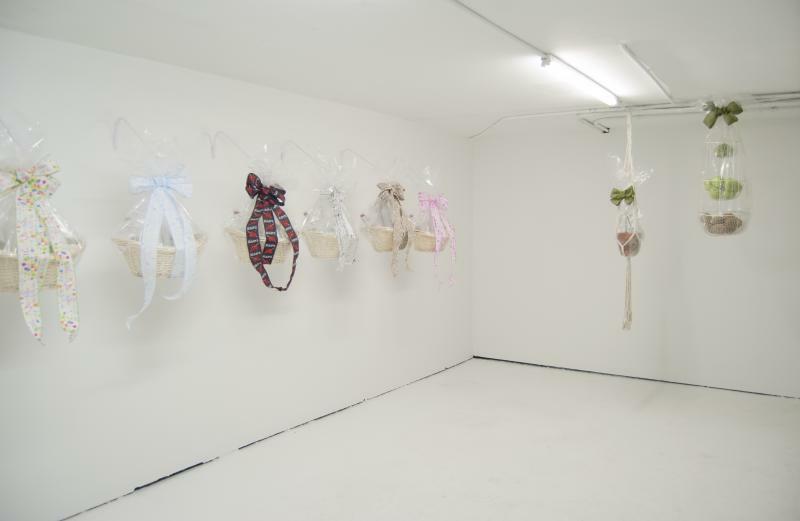 Lloyd utilizes non-normative subject matter for many of her gift baskets, including human hair and plants, to challenge conceptions of categorization exemplified by gift baskets. KELLY LLOYD (American, b. 1986) earned an MFA in Painting & Drawing and an MA in Visual and Critical Studies from the School of the Art Institute of Chicago in 2015, and her BA from Oberlin College in 2008. Lloyd has recently presented “Proposal Papers” at U.I.C.’s Art History Conference ”Discipline and Doctrine,” and has contributed essays for the publications accompanying LIVE TO TAPE ARTIST TELEVISION FESTIVAL and Third Object’s Mossy Cloak at Roots & Culture. Recent exhibitions include a two person exhibition with Alex Bradley Cohen at Carrie Secrist Gallery, Retreat at Valerie Carberry Gallery and Richard Gray Gallery, a solo exhibition at TRUNK SHOW, Ground Floor at the Hyde Park Art Center and Terrorists at the Library at Harold Washington College’s President’s Gallery. Lloyd has completed residencies at ACRE, Ox-bow, Studio 2337 and the Chicago Artists’ Coalition, and was named one of NewCity’s Breakout Artists of 2015. THE SUB-MISSION presents HAIR CLUB in conjunction with the exhibition, a collaboration between artists Kelly Lloyd, Suzanne Gold, and Michal Lynn Shumate. HAIR CLUB, an ongoing research initiative, studies the impact of hair across genres, histories, and disciplines by hosting open discussions on the personal and cultural meanings of hair. A Hair Salon will be held at THE MISSION at 12pm on Saturday, February 20, 2016. 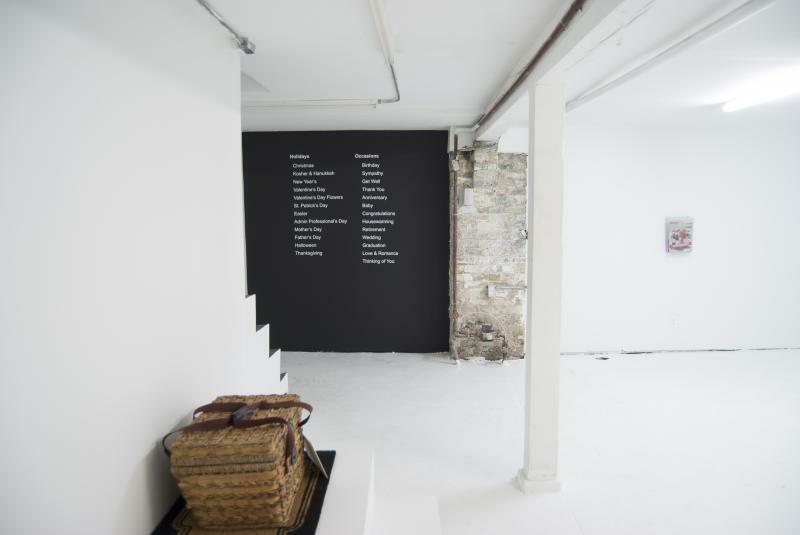 MATT MORRIS, Chicago-based artist, curator, writer, and 2016 SUB-MISSION Committee Member, will join Kelly Lloyd for an artist talk at 6:30pm on Thursday, January 21, 2016 at THE MISSION.